A Year Into #MeToo, What's Next For The Movement? 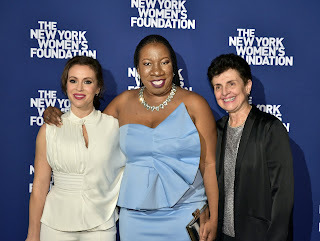 NEW YORK (AP) — By the end of her impassioned speech last week in front of a crowded hotel ballroom, Alyssa Milano was choking back tears. 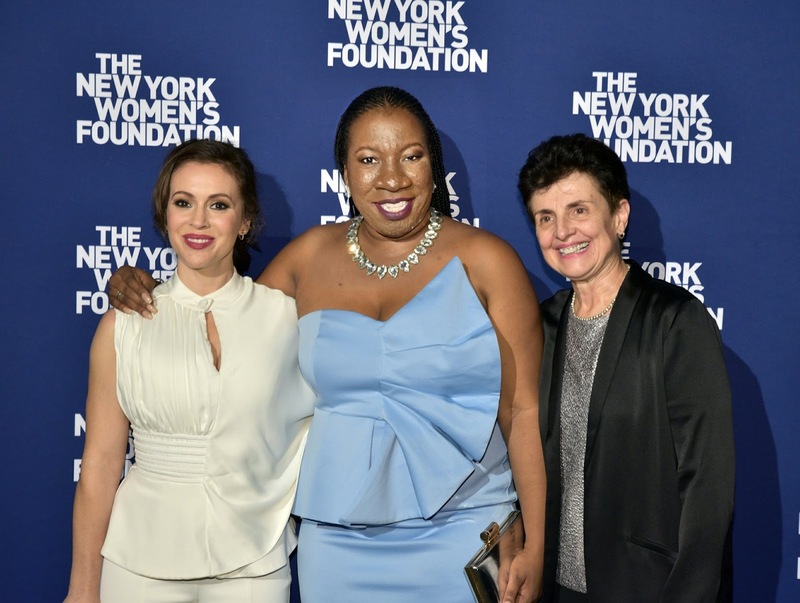 Offstage stood activist Tarana Burke, who had just presented Milano with her award from the New York Women’s Foundation. It had been exactly a year since Milano had sent her famous “Me Too” tweet, echoing an expression Burke had coined more than a decade earlier, and awakened the next morning “to a different world,” in Burke’s words. Now, the two women, and others associated with the movement, are assessing progress, looking ahead, and trying to decide what’s next, a year after the scandalous Harvey Weinstein allegations exploded into public consciousness. It’s also a moment when some are speaking of so-called “setbacks” to the movement. Earlier this month, a New York judge dropped one of the sexual assault charges against Weinstein, amid accusations of misconduct by a detective in the case. And there was the confirmation of Judge Brett Kavanaugh to the Supreme Court despite an allegation of sexual assault from accuser Christine Blasey Ford, which he denied, and the explosive hearings and protests that accompanied the ordeal. Also preferring to see the glass half full is Debra Katz, who was already one of the nation’s most prominent attorneys in the arena of sexual assault and harassment litigation when she gained instant recognition as Ford’s attorney. Though the outcome of that case was obviously not what she’d hoped, “I think anytime the world listens to four hours of someone’s testimony and gives rapt attention to the experiences of a sexual assault survivor, the world is transformed,” Katz said in an interview. What’s in the future? First of all, more legal cases. Attorneys like Katz are busier than they’ve ever been, due to increased willingness of women to come forward. And they’re finding, she says, that employers are much more receptive to resolving cases. On top of that, Katz says, there’s a growing recognition that current laws governing workplace sexual harassment are inadequate, with standards of proof that too high, and damages too low — all impediments to bringing a case. A number of states, spurred by the revelations of the #MeToo movement, have introduced or enacted legislation that goes beyond current federal regulations on workplace sexual harassment. Much of it has been concerned with limiting or banning non-disclosure agreements or forced arbitration; several states have already enacted such legislation. Legislation has also been introduced in some states that would require sexual harassment training for employers and employees. Policy is also on Milano’s mind; she’s been advocating for a new push to pass the long-stalled Equal Rights Amendment. She also calls for school curriculums to include gender equality for a young age. And she says there needs to be more participation in #MeToo from a key constituency: Men. For Milano, even criticism of the movement can be a force for progress. “Bring it,” she says. “Because for me, the criticism is where we have the meaningful conversations.” Part of the blowback has included the #HimToo hashtag, popularized during the Kavanaugh controversy, in which people express concerns about men being unfairly targeted by false assault claims. (Advocates say sexual assault is underreported, not overreported.) First lady Melania Trump also said recently that women “need to show the evidence” before coming forward with sexual misconduct claims. To Burke, who coined “Me Too” in 2006 to raise awareness of the pervasiveness of sexual abuse, much of the back-and-forth has been a distraction from the real point of it all: Helping survivors of sexual violence. She’s been spending recent months beefing up the resources and programming at her own group, “me too.,” which works with survivors in marginalized communities. Helped by funding from the women’s foundation , the Brooklyn-based group has recently expanded its digital support network with the aim to be a major national resource. It is also working on training and funding counselors across the country to help survivors in their own communities. On a broader level, Burke says a key goal, in this second year of the movement, is to redefine “the way we think about victory.” This is not, she says, a tennis match. And Burke has been buoyed by the fact that with every new challenge, more supporters join her struggle. “Every time we go out, every time we march, every time we rally, we bring new people into the fold, and we embolden the people who are already here,” she says, citing the recent anti-Kavanaugh protests in Washington. Katz, too, finds reason for hope in the numbers — and demographics — of people becoming active in the movement. “The fact that we’re even having a national dialogue about sexual assault in schools and you’re seeing young girls organizing, with petition drives and conversations — all that is significant progress,” the attorney says.